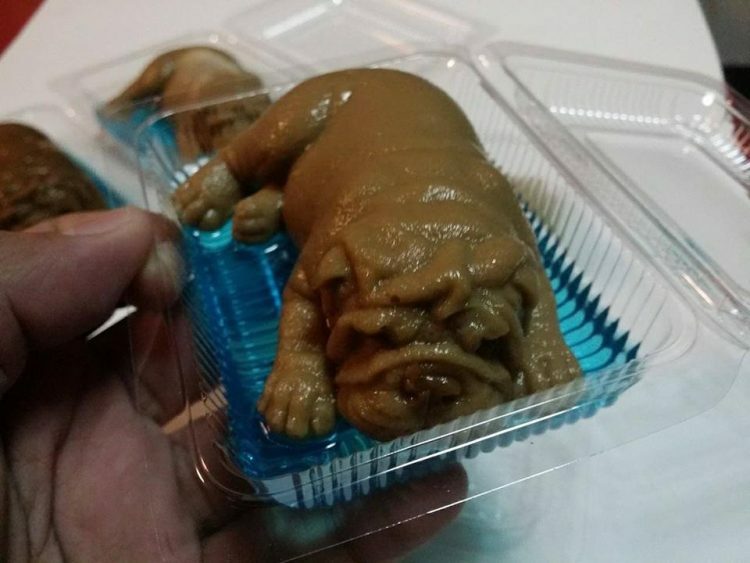 Coconut cream puddings are very popular in Thailand, but while they usually come in flower shapes, one dessert shop in Pathun Thani, north of Bangkok, decided to shake things up a bit by using puppy-shaped molds instead. 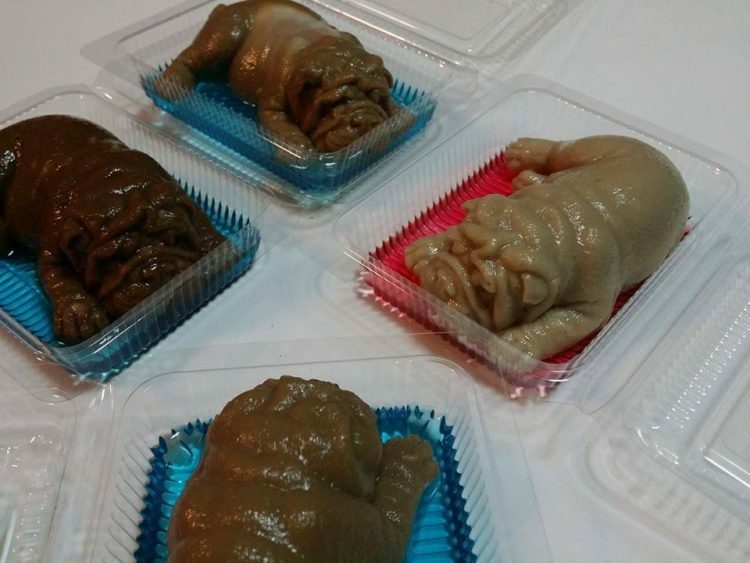 Photos of the realistic-looking edible puppies made quite an impact online, sparking a heated debate. Within six hours of posting photos of their new treats on Facebook, Thai dessert shop Wilaiwan had already gotten over 10,000 shares and hundreds of comments. But that was only the beginning, as the photos soon started making the rounds on blogs and news sites, and even attracted the attention of international news networks. Some people loved them and said that they would love to eat a slimy puppy, while others said they looked too much like their pets, and couldn’t even think about sticking a spoon in one. 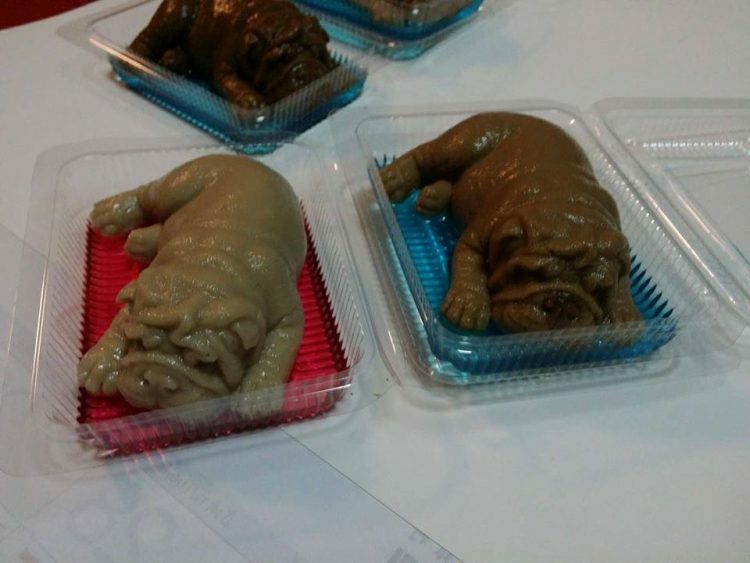 You’ll be glad to know that, despite their realistic shape, there’s no puppy in these puddings. They are old-fashioned coconut cream puddings served on a bed of colored jelly. They are reportedly quite tasty, but if you’re an animal lover, that probably wouldn’t be enough to convince you to take a bite. The puddings are made to order by the dessert shop’s owner, Wilaiwan Mee-Nguen, 30, and her husband, and cost 25 THB (¢70) apiece. 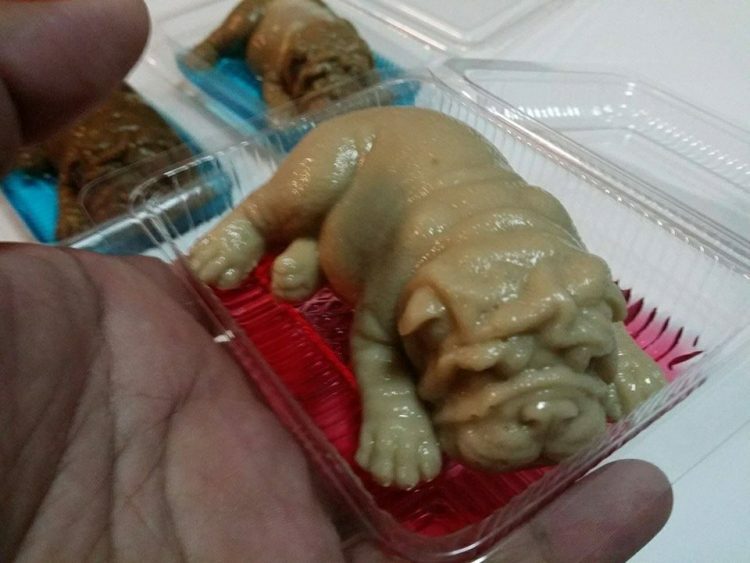 Despite the controversy they’ve stirred online, Wilaiwan claims that her puppy puddings are a big hit. In fact, it looks like Mee-Nguen was counting on controversy to drive her marketing efforts. She captioned one of the photos with “Awwww, puppy pudding! Someone is gonna eat him soon!” Way to rattle PETA members. Yeah, I think I’ll stick to gummy bear sausages, thank you very much!